Clothing is the tailoring profession in Elder Scrolls Online. It enables players to craft light and medium armor. Clothing works the exact same way as blacksmithing and woodworking except clothing is for apparel crafting only – sorry, you can’t craft lethal weapons made of cloth! Crafting bags for extra inventory space isn’t possible in ESO, at least not right now. You can, however, buy extra inventory or bag space from pack merchant vendors. There’s usually one about in every major town and starting area. Armor crafting, improving, deconstruction and research all happen at a clothing station. Clothing stations, like other crafting stations, can typically be found in towns and cities, but also in various different caves and dungeons. The Clothing Skill Line does require some serious skill point investment if you really want to make a name for yourself as a tailor. Clothing passive is simply a must have in order to craft the highest level gear, so you’re going to spend eight skill points on this skill alone. Keen Eye: Cloth is more of a bonus skill, as it makes the fibrous plants in the world easier to see. Some of the fibrous plants are surprisingly hard to see among all the other foliage of Tamriel, so investing at least one skill point here is not a bad choice at all. It’s good to note that the fibrous plants are only used for Light Armor, so if you’re thinking of specializing in Medium Armor, this passive isn’t going to be that much of use to you. Of course it’s a bad idea to completely ignore Cloth or Light Armor, because it’s an easy way to level up your Clothing, but this perk simply highlights the fibrous plants which can then be gathered easier. Outfitter Hireling supplies you with free crafting materials. Sounds good to me. Unraveling passive improves the chance of extracting Clothing ingredients. Since this also affects the chance of getting Tannins and Stitchings upon extraction, it is a must have passive for anyone who wants to invest in Clothing. The more Tannins and Stitchings you get, the more you can improve your items. Stitching is a passive skill which reduces the research time and allows the research of multiple traits at once. I’m a bit undecided on this one, but I want to say that because you’ll probably only want to apply only a couple of select traits on your armor, the value of this skill isn’t as great as it seems at first glance. No doubt it will make a big difference later on, when the final eighth trait research takes 32 days without this passive. Tanning Expertise is the final passive skill in clothing, and it is a no-brainer to invest in. It increases the chance of improving items with Tannins and Stitchings. For rarer quality items this is very valuable, and enables you to improve more items in the long run. Allows the use of Cloth type [Jute, Flax, Cotton, Spidersilk, Ebonthread, Famin, Ironthread, Silverweave, Void Cloth] and Leather type [Rawhide, Leather, Thick Leather, Hide, Topgrain Hide, Fell Hide, Iron Hide, Scaled Hide, Daedra Hide]. see when you are within 20/30/40 meters. you cloth or leather and possibly other items every day. of two traits at once. To craft anything, you first need the right material. Light armor is made of Cloth, which is extracted from fibrous plants. Anyone can pick these plants up and they can be found all over Tamriel. Once you have either gathered the fibrous plants or found enough leather/hide, you can turn the raw materials into something you can craft armor with. This happens through Refinement. There is a tab for Refinement at a clothing station, and it enables you to turn your raw materials into crafting-ready components. Refinement is one of the main sources of Tannins and Stitchings, the rare Clothing items, which are used for improving the armor you craft. Refinement on its own does not yield any experience in Clothing skill line, but the Tannins/Stichings and Trait Materials you can gain in the process make it all worth it. You need 10 units of raw crafting material to refine them. Deconstruction, funnily enough, is one of the best ways to gain Clothing inspiration points. Deconstruction is the process of destroying light and medium armor, rewarding you with clothing experience, clothing material, Tannins/Stitchings and possibly Racial Style and Trait material. Instead of simply vendoring all your medium armor/light armor loot, you might want to consider extracting them at a clothing station instead. The next step is crafting the piece of armor. There is a tab for Item Creation at a clothing station. The first thing you have to do, is select the type of armor you want to craft. You’re going to choose either Light or Medium armor, and also the specific item slot, such as robes or a belt. After you’ve chosen your desired armor piece, you’ll be faced with another choice: the number of cloth or leather you want to use in the crafting process. This enables you to increase the level and quality of your armour – the more clothing material you choose to use, the greater level requirement and higher quality armour you can produce. The experience you gain in clothing is also increased when you craft higher level items. You are able to craft in different racial styles. By default, you can craft items using your own race’s style. 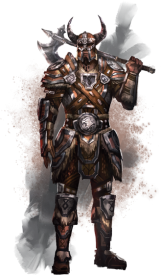 You will be able to learn the other racial crafting styles are you progress in the game; there’s lorebooks called Racial Motifs in Elder Scrolls Online, which teach you a new racial crafting style. These are random drops. You have to choose a racial style for the armor you craft, and you also need Racial Style Material, which can be bought from crafting vendors, picked up as loot or gained in the process of extracting items. The last thing to do before you’re ready to craft the item is choosing a Trait for it. It is optional and does require you to have researched the trait and have the Trait materials. Traits are ‘buffs’ or ‘enchantments’, which boost the piece of item. Calling Traits enchantments is wrong, because strictly speaking enchantments are only applied with the Enchanting crafting profession. The item used to learn the trait will be destroyed upon research. The trait you research will only be learned for that specific armor type and armor slot. If you research a Trait for Light Armor Robes, it means you can apply that trait on any light armor robes in the future, but it does NOT mean you can apply it on Light Armor gloves or Medium Armor chest piece. You need to research every gear slot separately, which is a very long process if you are planning on learning all of the traits. The research process takes 6 hours by default, and doubles after every trait research, resulting in a research time of 32 days for the final eighth trait. You can reduce the research time and the number of active trait researches with the passive Stitching. In order to improve light or medium armor, you need special quality items called Stichings or Tannins. By default you need four Stitchings / Tannins to improve an item’s rarity level. The quality items also come in different rarities, and the rarer ones will be very hard to get your hands on. Unraveling and Tanning Expertise skills in clothing skill line will help you out here immensely.